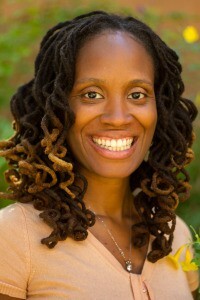 Dr. Danielle Lewis is a licensed primary care doctor that is currently in her second year of our Integrative Women’s Health Residency program. Dr. Lewis has a strong background in physical therapy and orthopedics the past 14 years and is skilled in acupuncture and other pain management treatments. Dr. Lewis’ medical practice is general naturopathic primary care with a special focus in women’s health. She also conducts medical research on the clinical applications and effectiveness of botanical therapies. She is a member of the Arizona Naturopathic Medical Association and a graduate from Southwest College of Naturopathic Medicine. She also has a B.S. in Health Science and Management from Old Dominion University. Dr. Lewis strongly believes in social responsibility and serves on the board of Angel of Mercy USA, a nonprofit organization that helps HIV/AIDS patients, the underprivileged and orphan children in West Africa.